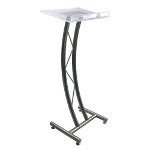 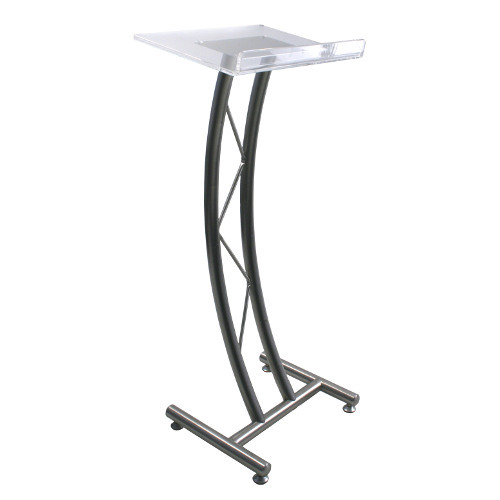 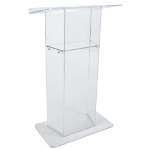 S3186 - Stainless steel curved truss body with a slanted acrylic top lectern. 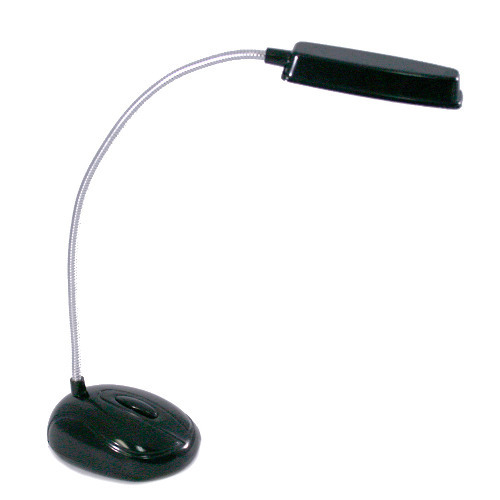 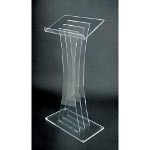 Clear acrylic top reading surface measures 18" W x 13" D.
1 1/2" high lip keeps notes from sliding off with 4 adjustable floor glides. 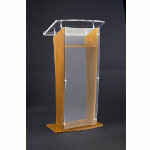 Curved Acrylic Truss Lectern This extremely lightweight truss lectern is perfect for church, school, conference room, lecture hall or convention center. 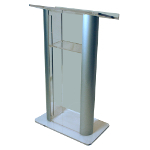 The curved body with a slanted acrylic top gives this truss lectern a modern industrial style look. 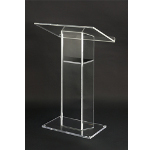 The clear acrylic top reading surface measures 18" W x 13" D, enough room for an open 3-ring binder and the 1 1/2" high lip keeps notes from sliding off the angled surface. 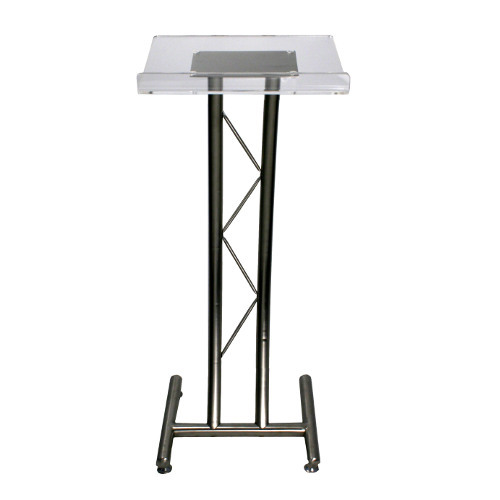 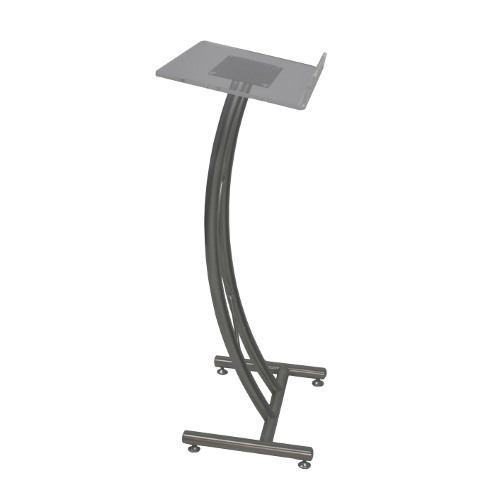 The stainless steel truss construction means this lectern weighs just 12 lbs. 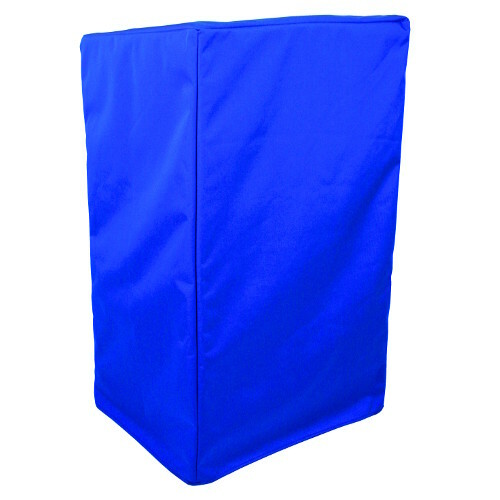 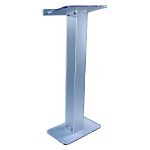 With overall dimensions of 43" H x 18" W x 15" D, this cost effective, portable and stylish lectern is perfect for any location.